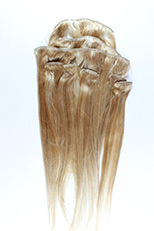 Premium human hair extensions, which make your own look more luxurious! Clip In Set! Add hair, fullness and body where you like. Eight pieces. The length of each piece is 16 inches. 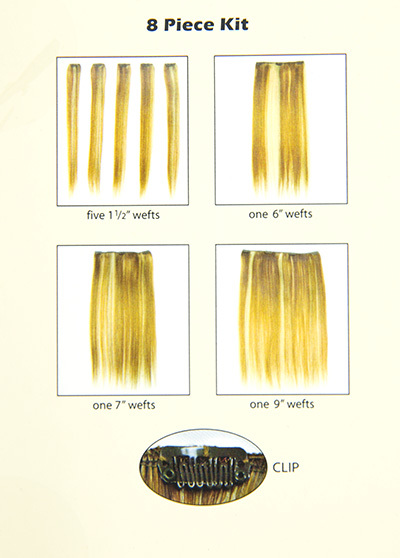 The length of each piece is 16 inches and the widths are the following: one 9 inch Wefts, one 7 inch Wefts, one 6 inch wefts, five 1 1/2 inch wefts. A classic, short, wavy, sophisticated style wig! Available in natural looking shades of blonde, red brunette and grey. See item details for available colors.